There’s already a smell of spring in our New Media Agency. 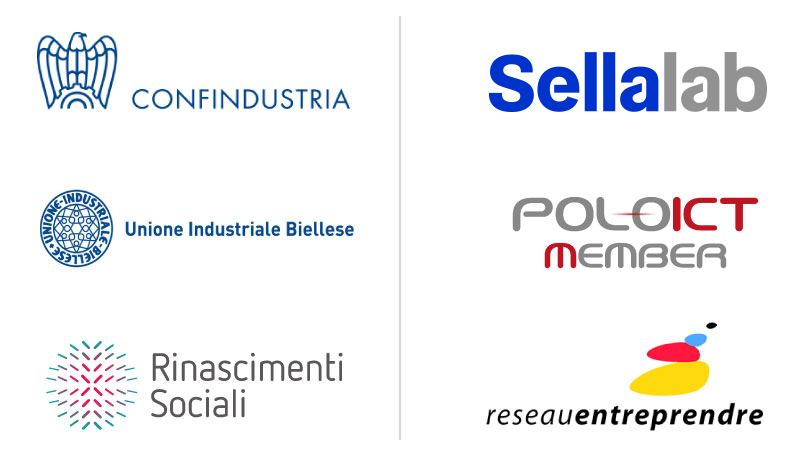 A few days ago, on the 20th of February to be more precise, we have been invited to Confindustria Alessandria by the evaluation committee of Réseau Entreprendre Piedmont, with Lisa Orefice, CEO, and Francesco Orlando, Project Manager (whom we would like to thank for the support! ), to become part of this wonderful network of senior entrepreneurs helping younger ones. . The history of the association, created in 1985 by André Mulliez, has peculiar similarities with the wool-industrial territory in which we are rooted, since it developed after a moment of crisis for the French textile and mining industries, which caused several layoffs. André Mulliez’s idea takes inspiration from the principle of “Creating new workplaces by creating new employers”. Réseau Entreprendre is an internationally-appreciated network, which arrived in Italy only recently (it already has 2 headquarters in Piedmont and Lombardy) and has more than 117 branches in 10 different Countries (France, Belgium, Spain, Portugal, Italy, Morocco, Switzerland, Tunisia, Chile and Senegal), more than 10,000 senior entrepreneurs and 6,000 young entrepreneurs. 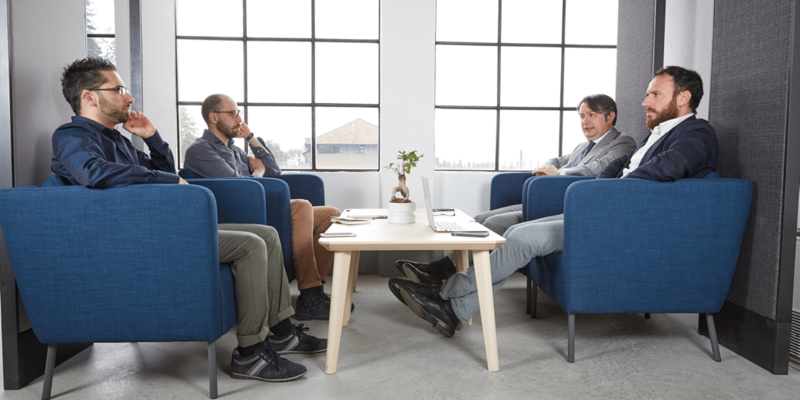 From 1986 till now its companies have produced more than 80,000 workplaces. .
We share the same principles of Réseaue Entreprende: peer-to-peer and lifelong learning; that’s why we are pleased to be part of it. More than a goal, this is a new start for us, to produce new lymph and make our 6 areas grow even more (Social & Web Communication, Incubator, School, Design, Entertainment and Publishing) during this thrilling moment of change, between the 3rd and the 4th industrial revolution. More than the quality of the project, it’s an individual’s entrepreneurship potential that must interest the senior entrepreneur. Business innovators offer a free service: that’s the partners’ spirit, who are willing to facilitate the successfulness of young entrepreneurs. Willingness to commit to reciprocity. Those who benefit from the partnership are invited to do the same with others one day, by becoming an important link in the chain of new business support. For us BTREES, this is brilliant. After the acceleration we experienced at SELLALAB (startup incubator of Gruppo Banca Sella) and our adventure with Gruppo Ebano, this is an important step for our personal development and growth, both individually and as a company. We would, therefore, like to explore new ways. Right now, 3 years after we took our first steps, we can count on a team of 14 members, from employees to cooperators and we aim at keeping in contact with our roots while using our initiative to explore new horizons, with an international overlook. If we look at what we have accomplished so far, we can see how much we have committed to this project: in 2016 we have reach 100 collaborations with companies, by managing 1 million euros in 1 year through digital advertising reaching more than 30 million people each month..
We always want to do our best, through constant learning, and we believe that telling new stories about industrial springs that can change the world requires starting from seeding and collecting innovation, which is made of us and our relationships. .